Does anybody use Twitter or even been on their website. I signed up at the weekend and now Im a little bit hooked. Im following Gok Wan (for his fashion advise), Derron Brown (cos he's great) and Cesar Milan (because its the law if you own a dog!). 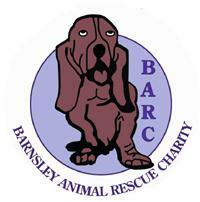 Anyway, how about BARC having a twitter page. I've only just thought about it because Cesar Milan has posted about him making a list of Rescue Centre twitter accounts. It might not do anything, but it all helps with trying to get BARCs name out there. Twitter i a little bit like facebook really but just with the status updates. I can't really comment as i don't do facebook or anything like that but if you think its a good idea bring it up at the meeting! I dunno if ive got time to join twitter, what with the forum, facebook, emails, twilight websites and forum, work, kids, hubby, cat and dog. technology doesn't sleep and as an employee neither should you! now back to work! !